The Belarusian government has declined the International Monetary Fund (IMF) lending program due to the possible shock for local residents, Belarusian Finance Minister Maxim Yermolovich said on the TV channel STV on Sunday. "The head of state said that this will be a shock for our residents and this cannot be done. This is why, the government has denied the IMF program," Yermolovich said. This Belarusian response followed the situation when the IMF insisted on implementing a program of reforms for a shorter period of time than was agreed upon with the government, he said. At the same time, Minsk does not see any conceptual differences on the nature of reforms in the dialogue with the IMF. "We have worked out jointly with IMF experts a program of structural reforms, which would comply with the IMF philosophy. And, our positions have essentially coincided on the key issues, and we have reached an agreement on the program, but we could not agree on the terms of its implementation," the finance minister said. The Belarusian Finance Ministry is planning to place sovereign bonds worth $2 billion on Russian and Chinese local markets in the mid-term outlook, he added. "We are preparing to place sovereign bonds on local markets. These are the markets of China and Russia. We hope that we will be able to borrow a total of up to $2 billion on Chinese, Russian and other local markets," Yermolovich said. 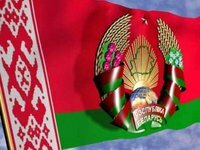 At the same time Belarus is not planning to place Eurobonds next year, he said.